UN Volunteers with the Food and Agriculture Organization (FAO) are serving in a project creating employment opportunities for vulnerable rural people, women and youth. Operational 2016-2019, the project entitled “Support to Employment Creation in Mongolia: Piloting Quality Private Sector Work in Selected Livestock and Vegetable Value Chains” is supported by the Government of Mongolia, the European Union, and the UN Industrial Development Organization (UNIDO), in partnership with the national ministries for agriculture, industry and labour, government support institutions and services, as well as vocational training institutions, trade associations and the private sector. In Mongolia, agriculture employs 35 per cent of the total labour force and, more importantly, it accounts for over 70 per cent of employment in rural areas. The livestock sub-sector accounts for almost 10 per cent of export earnings and approximately 80 per cent of total agricultural production. The agriculture and food sectors offer the best opportunity to grow inclusive employment (Ministry of Labour, 2014). There is a clear need to match the agro-industry’s increasing demand for a skilled ‘employable’ workforce with ‘decent work’ opportunities. New green jobs are expected to reduce environmental impacts of added-value products while providing diversified income sources to diverse stakeholders. 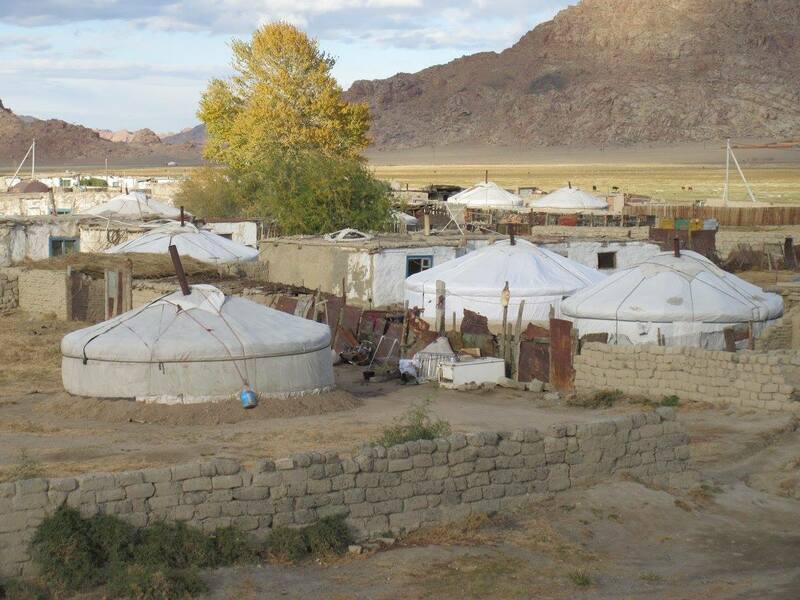 The Project contributes to inclusive and sustainable development in Mongolia through the promotion of quality employment focusing on the livestock and agriculture sector, and strengthens conditions and capacity of private sector employment. It focuses on employment creation through improved competitiveness and greening of meat, dairy, vegetable, fibres and leather sectors. A key tool for assessing the potential in these sectors is the application of value chain analysis, including supply chain and economic analysis to identify and unblock key bottlenecks. The main activities of the Project include support for decent employment and income opportunities in the meat, dairy, cashmere, wool, leather, and vegetable value chains while contributing to employment policy development with mainstream inclusive decent work and eco-friendly practices. In addition to development of value chains, the project aims to improve the quality of food products, safety standards and marketing. Target groups for this Project are owners and personnel of private sector companies, including cooperatives, which operate in the five value chains, with a particular focus on the inclusion of unemployed and employed vulnerable groups such as youth, women, migrant workers living in rural and peri-urban areas, and indigenous peoples. The data collected from the survey will show what needs to be improved, what policy needs to be supported, for quality education and creation of a skilled employable workforce. The project is expected to contribute to SDG Goal 8, decent work and economic growth. As people migrate to Ulaanbaatar seeking better opportunities, people become subject to rising unemployment and poor living conditions. The government is challenged by the growing need for infrastructure and the problems that arise from a growing urban population. Strengthening value chains and diversifying employment opportunities can contribute to dispersing the growing urban population and balance regional development.